A small town. A big secret. A deadly game. From the author of Liars, Inc., comes a dark, contemporary thriller with twists and turns that are perfect for fans of We Were Liars, Little Monsters, and One of Us Is Lying. Embry Woods has secrets. Some are small, like the ones about her complicated past. Others are bigger, like her growing feelings for best friend's ex-boyfriend, Holden. But the biggest secret she carries is about what they did at the abandoned Sea Cliff Inn...and the resulting terrible fire. Embry helps a homeless man escape from the flames and is immediately hailed as a hero, but she knows that couldn't be further from the truth. 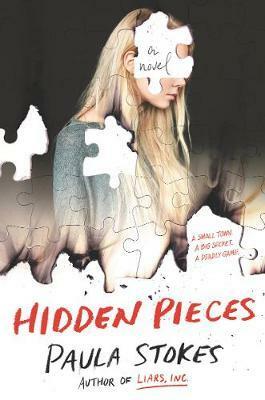 Though she's wracked with guilt, Embry thinks she can take one last secret to her grave. But then she receives an anonymous note--someone else was there that night. Now she must respond to a series of threatening messages asking her to make impossible choices. Someone is playing a high-stakes game with her life. And their last move is murder.